The dirt under your soles might just hold the key to your immune defenses against bacteria resistant antibiotics. No wonder organic farmers spend so much time building their soil. Maybe there’s a lesson to be learned by paying attention to dirt. .
Natural compounds in soil collected from around the US are a new family of antibiotics that may one day be used against drug-resistant bacteria, according to findings published in Nature Microbiology. The compounds are called malacidins, and the study says they’ve been shown to destroy drug-resistant infections, such as MRSA, in rats. Experts say the work, published in Nature Microbiology, offers fresh hope in the antibiotics arms race. Drug-resistant diseases are one of the biggest threats to global health. They kill around 700,000 people a year, and new treatments are urgently needed. 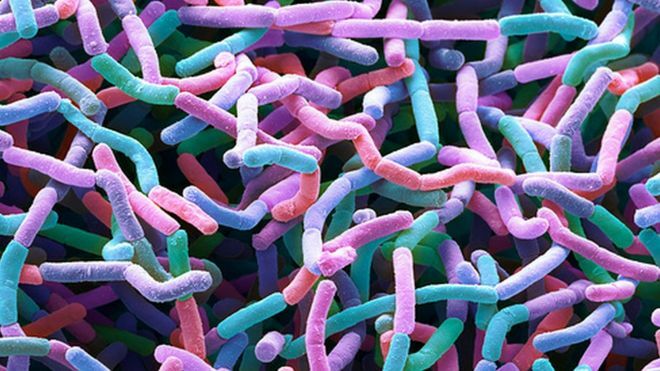 Soil is teeming with millions of different micro-organisms that produce lots of potentially therapeutic compounds, including new antibiotics. Dr Sean Brady’s team at New York’s Rockefeller University has been busy unearthing them. They used a gene sequencing technique to analyse more than 1,000 soil samples taken from across the US. When they discovered malacidins in many of the samples, they had a hunch it was an important find. They tested the compound on rats that they had given MRSA and it eliminated the infection in skin wounds. The researchers are now working to improve the drug’s effectiveness in the hope that it can be developed into a real treatment for people. Prof Colin Garner, from Antibiotic Research UK, said finding new antibiotics to treat gram-positive infections like MRSA was good news, but would not address the most pressing need. “Our concern are the so called gram-negative bacteria which are difficult to treat and where resistance is on the increase,” he said. While many communities are just beginning to deal with the impacts of radiation in our built environment, like smart meter technology, LED street light bulb replacement, dark skies, ordinances from light pollution, In Europe many of these laws are already on the books. .As other communities begin to grapple with radiation issues from our built environment like smart meters, LED streetlight conversions and dark skies ordinances, the city of Berkeley, California won a major decision in a federal appeals court, allowing the city to go forward with its ordinance requiring cellphone retailers to provide consumers with information about safe cellphone use. The court denied a request by the the mobile phone industry’s lobby, CTIA-The Wireless Association, which had fought the city’s attempts to educate its citizens. 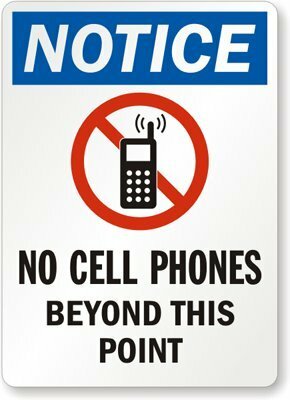 To assure safety, the Federal Government requires that cellphones meet radiofrequency (RF) exposure guidelines. If you carry or use your phone in a pants or shirt pocket or tucked into a bra when the phone is ON and connected to a wireless network, you may exceed the federal guidelines for exposure to RF radiation. Refer to the instructions in your phone or user manual for information about how to use your phone safely. Last month, under court order, the California Department of Public Health released draft guidelines on cellphone safety that outlined the health risks from cellphone radiation. For an in depth history, check out The Environmental Working Group. Assess your risks, look at the science, and follow other trends impacting public policy and our health and well being. Parents For Safe Technology have been reporting the legislative track on this issue in addition to many other technology and public safety related issues. France is imposing a total ban of cell phones in school. What should we know to be informed? Please see EWG’s Cellphone Radiation FAQs. 178 different pesticides and pesticide breakdown products were found on the thousands of produce samples analyzed. The pesticide residues remained on fruits and vegetables even after they were washed and, in some cases, peeled. Spinach samples had an average of twice as much pesticide residue by weight than any other crop. Three-fourths of spinach samples had residues of a neurotoxic pesticide banned in Europe for use on food crops – it’s part of a class of pesticides that recent studies link to behavioral disorders in young children. WASHINGTON – Strawberries remain at the top of the Dirty Dozen™ list of the EWG Shopper’s Guide to Pesticides in Produce™, with spinach jumping to second place in the annual ranking of conventionally grown produce with the most pesticide residues. EWG’s analysis of tests by the U.S. Department of Agriculture found that nearly 70 percent of samples of 48 types of conventional produce were contaminated with residues of one or more pesticides. USDA researchers found a total of 178 different pesticides and pesticide breakdown products on the thousands of produce samples they analyzed. The pesticide residues remained on fruits and vegetables even after they were washed and, in some cases, peeled. Lunder said it’s particularly important to reduce young children’s exposures to pesticides. The pesticide industry and chemical agriculture maintain that pesticides on produce are nothing to worry about, but doctors and scientists strongly disagree. Landrigan, Dean of Global Health and Director of the Children’s Environmental Health Center at Mt. Sinai, was the principal author of a landmark 1993 National Academy of Sciences study, Pesticides in the Diets of Infants and Children. The study led to enactment of the 1996 Food Quality Protection Act that set safety standards for pesticides on foods. For the Dirty Dozen list, EWG singled out produce with the highest loads of pesticide residues. In addition to strawberries and spinach, this year’s list includes nectarines, apples, peaches, celery, grapes, pears, cherries, tomatoes, sweet bell peppers and potatoes. Each of these foods tested positive for a number of different pesticide residues and contained higher concentrations of pesticides than other produce. Pears and potatoes were new additions to the Dirty Dozen, displacing cherry tomatoes and cucumbers from last year’s list. By contrast, EWG’s Clean Fifteen™ list of produce least likely to contain pesticide residues includes sweet corn, avocados, pineapples, cabbage, onions, frozen sweet peas, papayas, asparagus, mangoes, eggplant, honeydew melon, kiwis, cantaloupe, cauliflower and grapefruit. Relatively few pesticides were detected on these foods and tests found low total concentrations of pesticide residues on them. Are Managed Bees Making Wild Bees Sick? Wild pollinators have been under assault around the world. Crop production has turned to shipping bee hives to farms to offset the impacts of declining wild populations. So how’s that working out? Peter Graystock a post doc researcher at UC Riverside’s Department of Entomology says this practice is spreading to wild bee populations, putting them under additional stress.